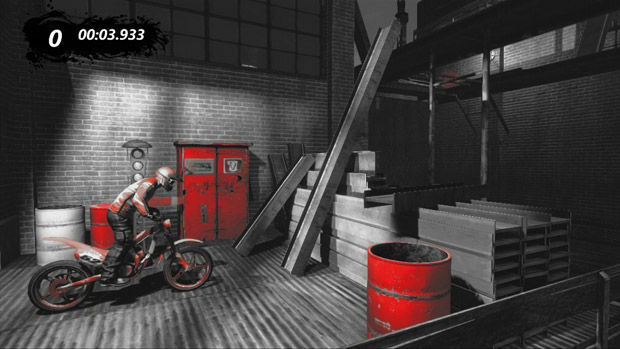 When I reviewed Trials HD back in 2009, I wasn't so sure the game would see the level of success I and other fans felt it deserved. Those concerns were ultimately unwarranted, as it now sits among the all-time best-selling titles available for Xbox Live Arcade. Better yet, RedLynx was able to create a follow-up. As the name would indicate, Trials Evolution isn't so much a fundamentally new game as it is an extension of everything we've come to love (and hate) about its predecessor. That said, don't go into this expecting little more than a few new features and a fresh coat of paint. After playing through the first few levels, you'll understand why the new content warranted another full installment. As much as I still love Trials HD, looking back at it now is rough. 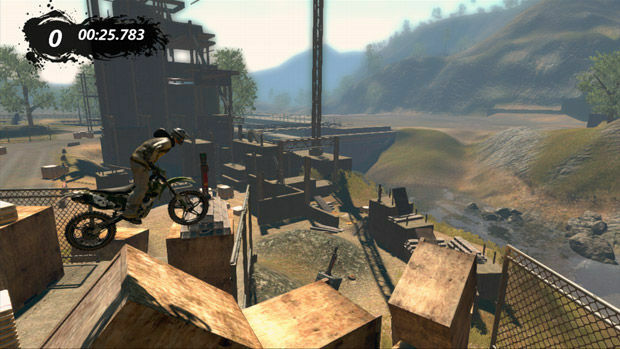 Trials Evolution makes its art style appear drab and unappealing and its scope entirely limited by comparison. For those reasons alone, I'd be quick to recommend that new players simply skip ahead to this game should they feel compelled to get into the series. Don't be turned off by the annoying intro song; it's the worst part, by far. The standard Trials formula, a mixture of delicate platforming and risk-reward racing, is left largely untouched. Similarly, the movement of your character is as sensitive as ever. I hesitate to comment too much about the controls because I'm not certain what behind-the-scenes tweaks were made, if any, but some of the more technical moves do seem noticeably easier to pull off. While that could just be my imagination, it was surprising how quickly I was able to get situated in Evolution having not touched Trials HD in quite some time. Simply put, the controls feel right. Those of you who never got accustomed to the physics are likely to face similar hurdles here. The most welcome change has got to be the levels themselves, both in terms of their look and layout. I won't go so far as to say every single course has a unique aesthetic or gameplay hook, but it's staggering how many absolutely do. Taking Trials outdoors was a wise decision indeed. One track captures the pure essence of Halloween, while another looks like it was ripped right out of Limbo. Beyond this diversity in styles, levels also -- for once -- feel alive. Thanks to smart camera placement and action which happens all around you, Evolution's courses never come across as static or uninteresting. I can't wait until everyone gets to play the Inception level. On the whole, pacing is excellent and much improved. Tracks are unlocked in groups; to get the next set, you'll need to acquire a certain amount of medals, with Gold being worth more than Silver and Bronze. They also have you play through a tutorial level every so often that includes explicit instructions on how to perform increasingly advanced moves (e.g., bunny hops and riding straight up steep slopes). Those worried about not having the skills necessary to unlock all of Evolution shouldn't be, necessarily. Don't get me wrong, the game does eventually get brutal, but the difficulty is spread out nicely. I'd wager most of you reading this will -- with a little persistence -- be able to earn access to all but the final set, which is made up of the sinister Extreme tracks. I let out many a naughty word in the process of getting to this final tier. 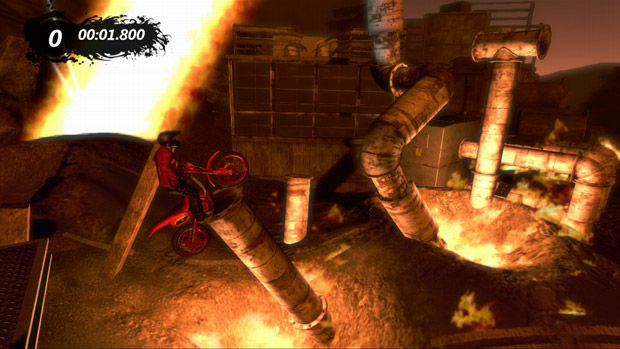 Although mini-games are back, they're not exact duplicates of the ones found in Trials HD. A few examples include a Marble Madness-esque game and one in which you pilot a flying saucer. These are enjoyable enough during the first handful of attempts, but I think most of us will move on after we earn the obligatory Gold medal. Of course, user-generated content would be meaningless if it was difficult to discover. Thankfully, accessing other players' creations is about as intuitive as it can be. I'm eager to see what the community comes up with in the long term, because designing courses is not one of my hidden talents. Though I previously referred to the new tracks as Evolution's big selling point, I know that some of you are more excited about the game's multiplayer component, and for good reason -- it's pretty neat, if a little basic. As great as it is to see friends' names zip around as you play through a level in single-player, going head to head against ghostly representations of fellow players in real time is a nice step up. The multiplayer also allows you to play with three competitors simultaneously on tracks that are more racing-oriented as opposed to ones filled with tons of puzzle-like obstacles. The beauty of this mode is that each player gets their own individual lane so there isn't that same disconnect found elsewhere in Trials. 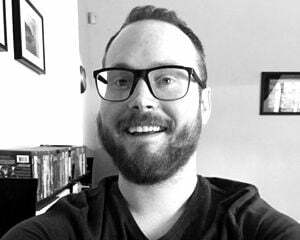 The game takes on a different (i.e., somehow more tense) vibe when you can't lazily rely on the reset button and other human beings are watching you. Right now, matchmaking seems to be on the slow and sometimes janky side. I've heard reports of other launch-week oddities but have not encountered any of those issues myself besides the occasional screen tearing and texture pop-in. Trials Evolution feels fresh and makes its predecessor look dated while simultaneously keeping the core gameplay the same. This type of skill-heavy experience will infuriate some people who struggle to pick up on its subtleties, but the end result of clearing a particularly challenging track is remarkably satisfying. Multiplayer is a fine addition, as is the new focus on providing genuinely creative, diverse level designs. Evolution is a must-buy for fans of Trials and it also serves as a terrific starting point for new players. It can, at times, be maddening beyond belief, but the payoff is so worth it.